Place 12 crackers on baking sheet. 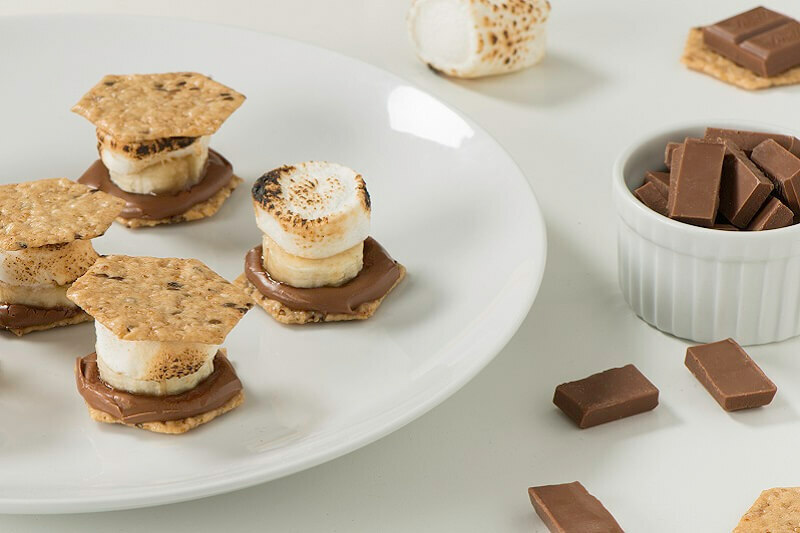 Top with chocolate, banana and marshmallows. Bake for 3 to 5 minutes or until chocolate is melted and marshmallows are puffed and golden brown. Top with remaining crackers, pressing down slightly. Serve warm. Substitute dark chocolate for milk chocolate if desired. You can also substitute miniature marshmallows for regular marshmallows.